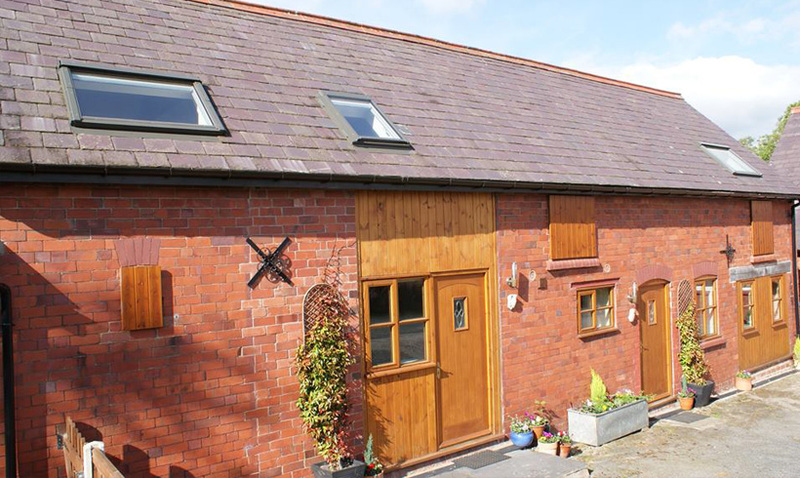 Llangollen Barns self catering holiday cottages are nestled on our beautiful hillside non-working farm just one mile from the popular town of Llangollen, North Wales. We have two well equipped holiday cottages in our converted 19th century barn. Both cottages enjoy breathtaking mountain views over the stunning Dee Valley. 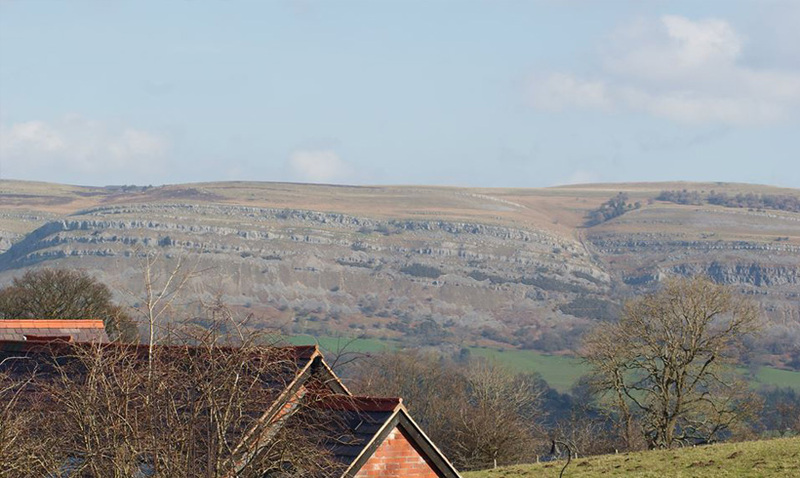 Our location in the countryside but near enough to town allows you to enjoy the best of both worlds; a relaxing break taking in the beautiful scenery, attractions and wildlife on the doorstep, or if you’re feeling adventurous, a more active break – Llangollen has some of the best walking, mountain biking and canoeing routes in the country. With an abundance of attractions, activities and the beautiful North Wales countryside on your doorstep, the choice is yours. 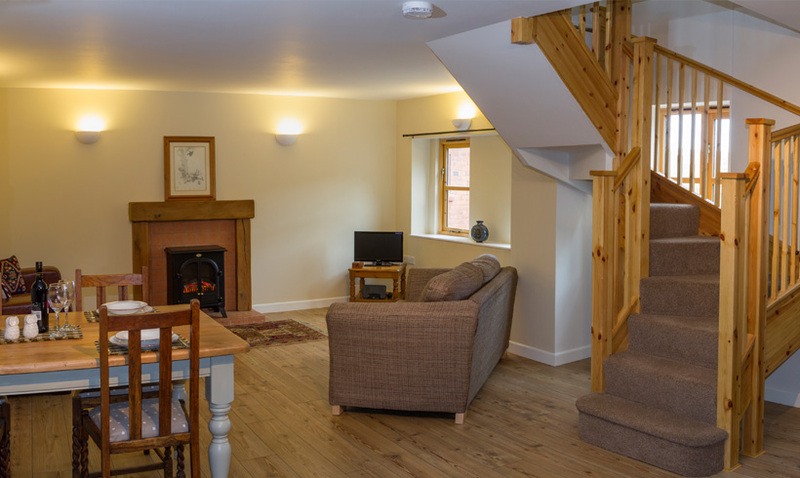 Owl Cottage is a spacious two bedroom cottage with one double and one twin bedroom. Woodpecker Cottage is a spacious one bedroom cottage, a perfect cozy country hideaway for couples. We are fully flexible with arrival days and offer prices per night or per week. We just ask that all stays are for a minimum of 2 nights. Prices are fully inclusive of all linen, towels, electricity and heating. We also provide a welcome pack for all guests containing immediate essentials and a selection of locally produced delicacies for you to try. We are very dog friendly and each cottage can accommodate one well behaved dog, subject to our simple doggy rules. See our ‘Bringing your Dog‘ page for further details. We provide a “welcome pack” consisting of locally produced beer & welshcakes, and endeavour to always use locally produced or sourced items for any of the requirements we have for the cottages.